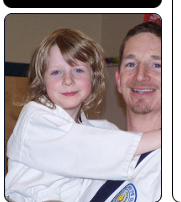 The Head Instructor at Martial Virtues is Sa Bom Nim Mike Kelly. Please fill out the form below to ask questions, provide feedback or whatever. You may also contact him by phone at 651-214-1485 or email at mike@kellyrenewals.com. Thank you for visiting our website. Please fill out the following form to request information about our school or to provide feedback about our site. When you are finished, click the 'Submit' button to send us your message. You will see a confirmation below.